Designed by Ransom Culler, the Spaced Out sofa is one of our new contemporary classics. 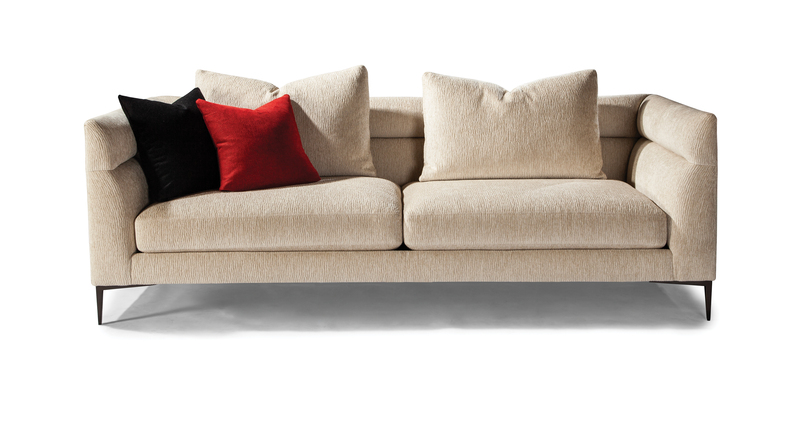 The Spaced Out sofa features sophisticated thin lines with channeled back and arm upholstery. Select from our many fabrics or leathers or provide COM. Legs are available in liquid bronze finish (shown) or in polished stainless steel finish. Coordinated items are also available, see more of Spaced Out in our sectional seating galleries. Height to top of back cushion is 35 inches approximately. Shown with liquid bronze finish legs. Also available with polished stainless steel legs as No. 1424-313. Throw pillows optional.